Are you a thrill seeker or do you simply want to take full advantage of the mountain setting? 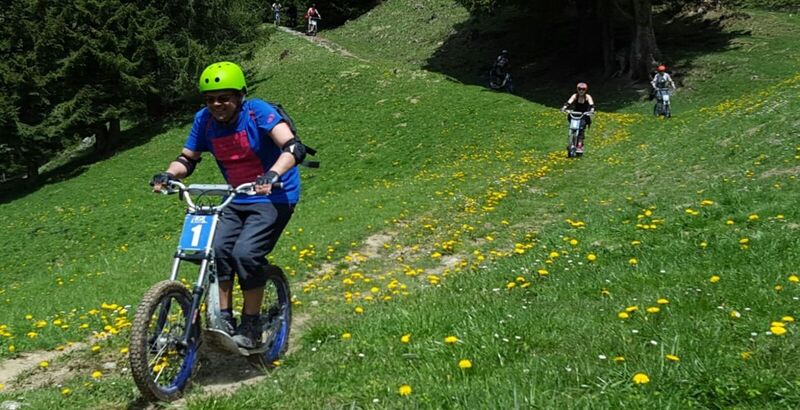 With friends or as a family, do you want to discover the fun of downhill scooter trips? The Discovery Package is made for you ! Variations allow beginners and more experienced riders to find what they are looking for. Choose from the 1 or 2 descent package and get ready to hurtle down 1000m of descent on 8 to 12 kilometres of marked trails. When you arrive at the summit of Croix de Culet, you will choose your itinerary and you’re all set for your descent on a downhill scooter! Allow on average 1 hour to complete the descent. If you would like a guide for your trip, please contact us.